The mysterious disappearance of a British woman on a Disney cruise ship four years ago should be investigated by UK authorities, campaigners have said. Rebecca Coriam, 24, from Chester, fell overboard from the Disney Wonder near Mexico and her body has not been found. 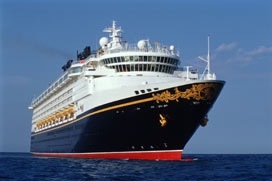 Bahamas police investigated because the Disney Cruise Line ship is registered in the island state, leaving it outside UK jurisdiction. There are calls for all suspected crimes at sea involving UK citizens to be investigated by the UK authorities. Former Deputy Prime Minister Lord Prescott said that should be the case whatever the ship’s “flag of convenience” – where it is registered. Ms Coriam’s MP Chris Matheson said he feared she was murdered and has called for a UK inquiry. The Cruise Lines International Association (CLIA) said disappearances overboard were “incredibly rare”. Ms Coriam was last seen alive on 21 March 2011 on board the Disney Wonder where she worked as a child minder. Her credit card, which was not found among her personal effects, was used after she vanished. Mr Matheson said: “I believe there’s sufficient evidence to indicate a crime may well have taken place. He said it was a “real possibility” she had been killed and the case had not been properly investigated. “Now is the time for that investigation to take place,” he said. Information collated in the police report from the Bahamas has been shared with the UK authorities, but not with Ms Coriam’s family. Her father Mike said he was “totally baffled and it’s upsetting as well” that the authorities in the UK can have a file with instructions not to disclose to the family. “We’re the victims here as well,” he said. Cheshire Police insist the report is not its property to share. In addition to the frustration over the report, the family has been unable to hold an inquest or a funeral as Ms Coriam’s remains have not been recovered. Under the Flags of Convenience system, ships are registered in offshore nations, often for tax purposes, and if crimes are committed on board it is up to the flag nation to investigate. National jurisdiction only extends up to 24 miles beyond a coastline – beyond that, the law of the country whose flag the ship flies applies. The Bahamas sent over police Supt Paul Rolle to investigate Rebecca’s case. Lord Prescott called for an end to the flags arrangement and for a US-style system in which the FBI investigates maritime crimes involving US citizens, no matter where a ship is registered. Lord Prescott, a former ship steward, echoed calls for an inquiry, saying: “People don’t know whether she died or she was thrown over the side. He said there was “almost like a conspiracy of silence” surrounding the case, adding there should be a change in the law as we “should be looking after our citizens”. Bill Anderson, a maritime investigator, said Supt Rolle “only interviewed six people out of just over 2,000-odd people and closed the investigation”. Mr Anderson is “fully convinced” something criminal happened to Rebecca. The CLIA, the trade body for the cruise industry, said it was the “safest mode of transport”. Disney declined to comment on the case. 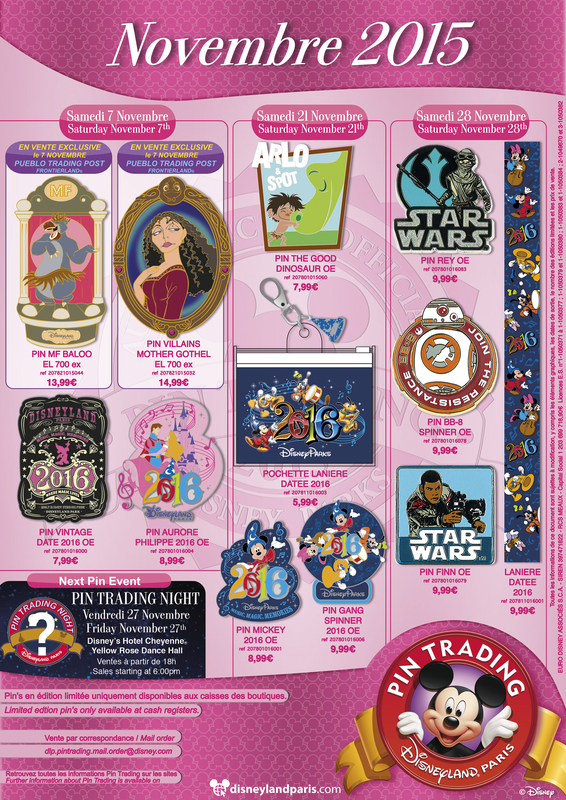 Here are the November 2015 Trading Pins that will be released at Disneyland Paris. The next Pin Trading Night will be held on Friday 27 November at the Yellow Rose Dance Hall at Disney’s Hotel Cheyeene. With sales starting at 6PM. 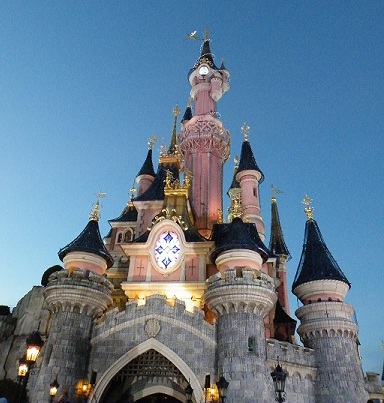 Two men have been given a six month suspended sentence for their part in a €597,000 Disneyland Paris ticket scam. The two men from the neighborhood of Sarcelles (Val-d’Oise), France use the Internet website LeBonCoin over a period of three years to fraudulently acquire more than 7,000 Disneyland Paris park tickets . The men were arrested last July after several months of investigation, appeared in court on 22 October 2015 in Meaux. The two men were each sentenced to a six month suspended prison sentence and to jointly pay €336,000, in damages to Disneyland Paris. The process of their crime was rather simple: they bought, via a man they have refused to identity the “e-tickets” for €20, which they then resold for €35 by finding buyers at the entrance of the park. The mysterious seller procured these tickets online fraudulently by using stolen credit cards. This lucrative deal, which brought them in about €1,000 a week was spent on luxury clothing and accessories found in the defendants’ homes. The court was told that Euro Disney S.C.A. had lost €597,000 in the scam. “I am appalled by the lack of awareness of the damage they have caused,” railed Xavier Autain, counsel for the Euro Disney company, “has advanced beyond the financial loss, given the terrible picture in the park when certain buyers, using these e-tickets after fraudulent payments were rejected, were alowed to enter the park for free”. Mr Autain requested full compensation for the financial loss, €1 for non-pecuniary damage and €15,000 to compensate for the assistance provided by Disney staff in the investigation. Requirements “totally disproportionate” according to the defense lawyers, who regretted that “the investigation did not seek to break down the network heads, the real perpetrators of the fraud suffered by Euro Disney”. For his part, the prosecutor Emmanuel Dupic denounced an “organized system of vending and concealment.” He required the confiscation of goods, a prohibition from visiting Chessy, where Disneyland Paris is located and where the tickets had sold. The men were sentenced to three years in prison, suspended to six months and an obligation to compensate the victim – Euro Disney S.C.A. 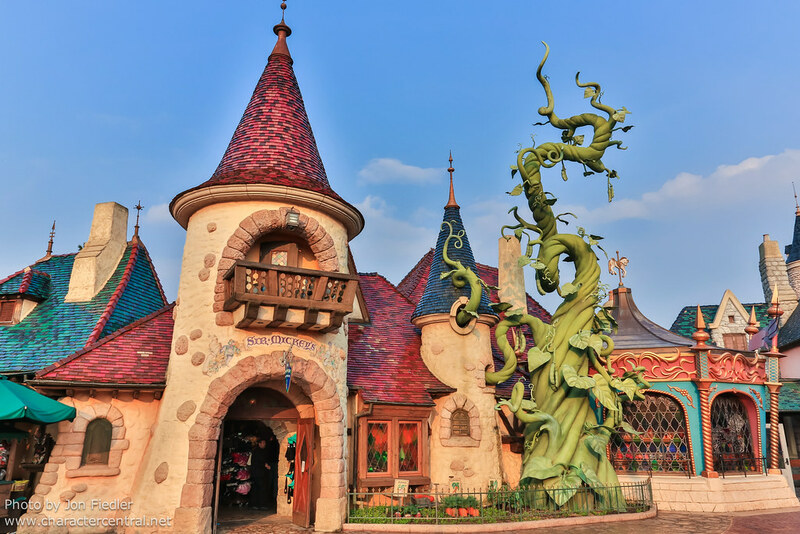 Four young men were arrested on Friday night (23 October 2015) after stealing more than €1,380 worth of merchandise from the Sir Mickey’s Boutique located in Fantastyland at Disneyland Paris. The four men residents of Val-de-Marne were arrested at around 8:40 PM when they were spotted by Park Security as they left the gift shop. According to French newspaper Le Parisian one of the arrested men has committed 47 shoplifting offences in the past. The four young men were taken into custody at the Police station in Chessy. 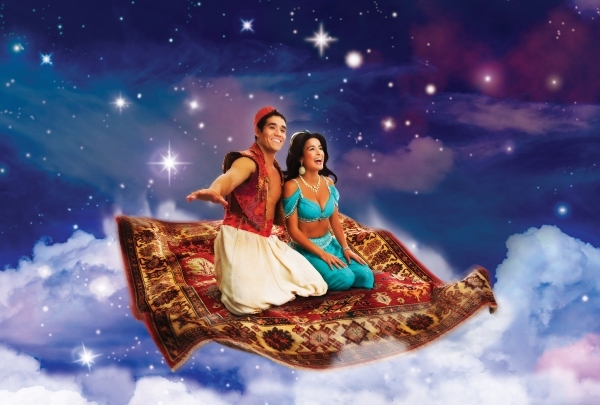 It has been confirmed today that Disney’s musical Aladdin will open in London’s West End in June next year. The Tony Award-winning musical will open on 9 June at the Prince Edward Theatre and tickets will go on general sale on 23 November 2015. More than one million people have seen the Disney show in the two years it has been on Broadway. Broadway cast member Trevor Dion Nicholas will make his London stage debut as the genie. Further casting will be announced later. Directed and choreographed by Casey Nicholaw, the production features a book by Chad Beguelin, music by Alan Menken and lyrics by Tim Rice and the late Howard Ashman. It debuted on Broadway in March 2014 and has had an award-winning run, receiving five Tony nominations in its opening year. James Monroe Iglehart won the Tony award for best performance by an actor in a featured role in a musical, for his performance as the genie. Productions of the musical have opened in Japan this year and another will open in Berlin in December. It will also open in Sydney in 2016. The film, which starred Robin Williams as the genie, won two Oscars in 1993 for best song and best original music. Le Club Actionnaires, the Disneyland Paris shareholders club has e-mailed shareholders this week with further details about the anti-dilution mechanism, the final step in the implementation of the Euro Disney S.C.A. recapitalization plan. The below article is not for publication, release or distribution directly or indirectly in the United States of America, Canada, Australia or Japan. Following the completion of the mandatory tender offer, shareholders having the status of Eligible Shareholders have now the possibility to acquire Euro Disney S.C.A.’s shares, previously subscribed by two subsidiaries of The Walt Disney Company in the context of the reserved capital increases completed in February 2015, so that they have the opportunity to maintain their shareholding percentage at the same level as before the launch of the recapitalization plan of Euro Disney S.C.A. To do so, eligible shareholders have the possibility to exercise their right to acquire shares (RAS). This is the final step in the implementation of the Euro Disney S.C.A. group’s recapitalization plan. Example: You held 100 shares on January, 16th 2015. So you received 100 PSRs. If you have chosen to exercise all your PSRs on the basis of 9 new shares for each PSR held, you received 900 new shares. If you have decided to sell 200 shares in the MTO, you kept 800 shares. The number of your attributed RAS and thus the maximum number of shares you can acquire is equal to the lower of the number of shares held at the date of settlement and delivery of the capital increase with PSRs, and the number of shares held at the end of the MTO, multiplied by a ratio of 1.00984. In the example, the lower number of shares held is 800. Once multiplied by the ratio, the number of RAS equals 807. Thus, you will be able to acquire a maximum of 807 shares at a price of €1.25 per share. 1) Will I have to pay some fees if I exercise my RAS? In principle, most of the financial intermediaries do not charge any fees for the exercise of the RAS. You should contact your financial intermediary if you hold your shares in a bearer or administered registered form. If you hold registered shares, no fees will be charged for the exercise of the RAS. 2) How will I be informed about the maximum number of shares I can acquire? You will receive – either from your financial intermediary or from Société Générale Securities Services if you hold registered shares – a notice of operation indicating the maximum number of shares you can acquire. 3) If I wish to maintain my ownership percentage in Euro Disney S.C.A., what do I need to do? You had to fully exercise your preferential rights during the capital increase, not sell any shares during the mandatory tender offer and you have to fully participate in the anti-dilution mechanism. 4) When do I have to pay for the new shares and when will I receive the shares on my securities account? You will have to settle payment for the shares at the time your exercise notice is received by your financial intermediary. The shares will be delivered to you during the settlement and delivery planned on November 17th, 2015. Do not forget to take into consideration, in your computation, your personal tax situation and any social charges. Rights to acquire Euro Disney S.C.A. shares will be allocated to each eligible shareholder* and will be an opportunity, for the eligible shareholders, to acquire a certain number of shares issued in the context of the reserved capital increases in February 2015. The RAS will be personal, non-negotiable and non-transferable. Maximum number of shares that can be acquired by an eligible shareholder. The number of RAS that will be granted to each eligible shareholder will be proportional to his shareholding in the Euro Disney S.C.A. share capital and is equal to the lower of the number of shares held at the date of settlement and delivery of the capital increase with PSRs, and of the number of shares held at the end of the MTO, multiplied by a ratio of 1.00984. Each RAS will entitle an eligible shareholder to acquire one share at a price per share of €1.25 during the exercise period of the RAS. The final number of shares than can be acquired will be rounded down to the nearest whole number. The definitive number of DAA attributed to each Eligible Shareholder will be calculated by his financial intermediary at the latest on October 8th, 2015. The offer relating to the RAS is being made only in France and in the United Kingdom. The exercise of their RAS by the Eligible Shareholders should be made by addressing an exercise notice to their financial intermediary. * Other than EDL Holding, EDI S.A.S. and EDLC S.A.S. *** Shareholders who will not exercise their RAS will experience a dilution of their ownership in the Euro Disney S.C.A. share capital due to the implementation of the reserved capital increases. Contact your usual financial intermediary if shares are bearer or in the administered nominative and Société Générale Securities Services if your shares are in the pure nominative. Toll-free number: 00 800 64 74 56 30 (Free number from the landlines and national operators since France, Germany, the United Kingdom, Belgium, Netherlands, Spain and Italy), from 9:30 am till 5:30 pm from Monday to Friday. This document is an advertisement and not a prospectus for the purposes of the Prospectus Directive (2003/71/EC, as amended) and investors in the European Economic Area should not subscribe for or purchase any transferable securities referred to in this document except on the basis of information contained in the prospectus (the “Prospectus”) relating to the Rights Offering, the Reserved Capital Increases and the RAS (as defined below) approved under visa no. 15-021 by the Autorité des marchés financiers (the “AMF”) on January 14, 2015 and passported in the United Kingdom on January 15, 2015. The Prospectus was published in accordance with the Prospectus Directive as implemented in France. Copies of the Prospectus are available free of charge at Euro Disney S.C.A.’s registered office, 1 rue de la Galmy – 77700 Chessy, France, on Euro Disney S.C.A.’s website (http://corporate.disneylandparis.com), as well as on the AMF’s website (www.amf-france.org). Additional documents relating to the transactions implemented in connection with the recapitalization of the Euro Disney group are also available on Euro Disney S.C.A.’s website (http://corporate.disneylandparis.com). This press release must not be published, released or distributed, directly or indirectly, in the United States of America, Canada, Japan or Australia. This press release and the information contained herein do not constitute an offer to sell or subscribe, nor the solicitation of an order to purchase or subscribe, securities in the United States of America. The offer relating to the RAS mentioned in this press release is not being made, directly or indirectly, through mails, means or instruments of foreign commerce or interstate, or any facilities of a national securities exchange, in the United States of America and can only be accepted outside the United States of America. Is Disneyland Paris being managed solely in the interests of its majority shareholder? The website The Conversaion has published a very interesting and informative article by Julien Pillot, (Chercheur associé en sciences économiques), which goes into great depth about Disneyland Paris possibly being managed solely in the interests of its majority shareholder, The Walt Disney Company. This article gives some background information to explain why CIMA are pressing on with their legal action against Euro Disney and The Walt Disney Company in France’s Autorité des Marchés Financiers demanding €930 million for damages suffered by minority shareholders because of biased actions taken by the park’s management. In a recent article titled “The Social Cost of Dishonesty”, The Conversaion showed how imperfect markets – for example, where some parties have more information than others – require the intervention of impartial authorities to adjust the balance of power and maximize the public good. The social cost of dishonesty is even higher when such authorities are absent or when they’re captured by economic, corporate or electoral forces. We concluded with a number of questions that these issues raise in the worlds of journalism and finance. In this article, the matter at hand is the ability of independent authorities to discipline a publicly traded company, Disneyland Paris, that is possibly being managed solely in the interests of its majority shareholder, The Walt Disney Company. The agency theory, developed in the pioneering work of Michael Jensen and William Meckling, asserts that honest and efficient corporate governance, through properly designed incentives, can reduce the risk of one party’s making decisions that are contrary to the collective good in order to maximize its own interests. In financial economics, such “harvest strategies” often crystallize around obvious conflicts of interest, which can increase the risk of moral hazard or adverse selection. When corporate management fails to correct such problems, it is the responsibility of outside authorities to restore a level playing field or, if necessary, sanction any misconduct or market abuse. In the case of Disneyland Paris, the risk of conflict of interest is obvious given that The Walt Disney Company (TWDC) is simultaneously its largest shareholder (39.8%); the holder of the park’s license, for which it collects generous royalties (€61.9 million for 2014 alone); its sole supplier, with no possible competition for new rides, decorative elements, etc; and, since the company was restructured in 2012, its sole creditor. Note that TWDC also controls 51% of the consolidated variable interest entities. Suffice to say that from the outset, TWDC has been in full control of the choices made by its French subsidiary, allowing it to set the broad strategic objectives, make crucial decisions, set the level of royalties and even to appoint members of the executive board (which are often employed by TWDC itself). At the same time, the company is unlikely to be exonerated of structural losses of the consolidated group or avoid its legal or moral obligations. This being the case, it’s illuminating to look at Disneyland Paris’s corporate governance. The manager (in this case, TWDC) is remunerated on the basis of a fee set at 1% of annual turnover (€12.9 million in 2014), to which are added royalties for the use of intellectual property that vary between 5% and 10% of turnover depending on the products and services in question (this constitutes nearly 57% of the park’s net losses over ten years). To this one we can add the considerable advantages that the European amusement park gives TWDC for its service activities (merchandising, video-on-demand subscriptions, film receipts, etc) as well as the boost that the park’s colossal advertising and PR expenses (nearly 10% its annual revenue) provide to its galaxy of affiliates (Disney Hachette Presse, The Disney Store, as well as TWDC France via the Disney Channel and DVD publishing). It should be noted that the CEOs appointed by TWDC in recent years have succeeded in boosting both Disneyland Paris’s attendance (up 18.3% since 2000) and its sales (up 33.4%). But at the same time, the park has shown an annual profit just once, in 2008, and then only because of the sale of assets. From the economist’s point of view, this intriguing situation – in which growing receipts are accompanied by rising deficits – has only one possible explanation: rising marginal costs bear witness to diminishing returns from the goods and services sold. In other words, under Disneyland Paris’s business model, each new customer costs more than he or she brings in. Moving from this realization to suspecting that Disneyland Paris is subsidizing its customers for the sole purpose of artificially increasing the company’s turnover, paying hefty royalties to its parent company (suspected to pass through Luxembourg in complex tax-avoidance scheme) and devaluing its stock price (down 95% since 1989) so that it can cheaply buy back shares is not a great leap. It is one that Charity & Investment Asset Management (CIAM) did not hesitate to make. This month it filed a complaint with France’s Autorité des Marchés Financiers (the equivalent of the SEC in the US) and others demanding €930 million for damages suffered by minority shareholders because of biased actions taken by the park’s management. While it is not for us to play the judge in this case, there does seem to be a preponderance of evidence from an economist’s point of view. Who benefits from the crime, after all? The intentional increase in Disneyland Paris’s turnover has allowed TWDC to reap substantial returns. The park’s repeated financial losses and the endless fall of its share price have, in turn, paved the way for the buyout of third parties: the park’s creditors in 2012, and a substantial portion of minority stockholders in 2015 after yet another recapitalization. This now gives TWDC ownership of nearly 82% of the company’s shares. At the same time, remaining minority stockholders – for whom the payment of hypothetical dividends now seems like a dream – received a proposition from Disney for a mandatory buy-back at €1.25 per share. CIMA has challenged this calculation, which it said intentionally undervalued the company. During this time, the French government examined its own situation with Disneyland Paris. It has no hope of tax receipts on nonexistent corporate profits and had already provided an endless series of gifts to the US company, including subsidized infrastructure, 4,800 acres of land sold at cost and loans at sub-market rates. In this situation, does it still have the ability to discipline – should such a thing happen – a company that pays millions of euros annually in local taxes and VAT, provides thousands of direct and indirect jobs, and which constitutes one of the top tourist destinations in France?